Our first batch! 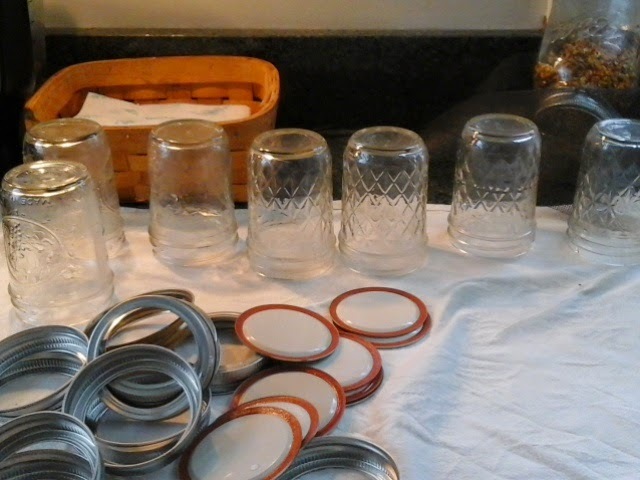 6 sealed jars, and a "dregs"jar for us to use now. It was the last of the syrup and i squeezed the filter to get every bit possible. 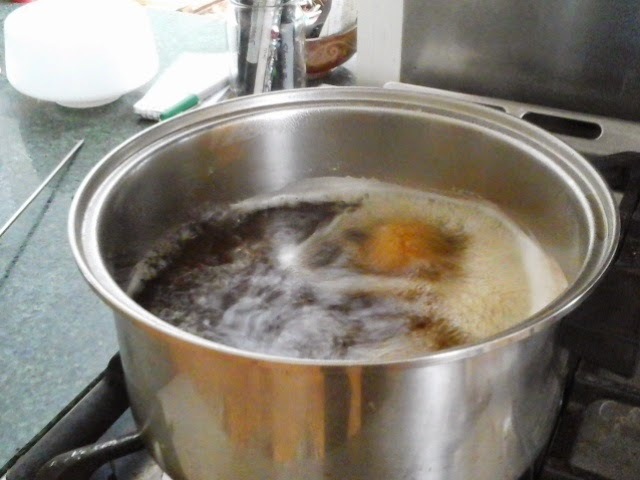 Finishing the syrup involves boiling down that last little bit to get the sugar concentration just right. Doing this over a variable wood fire is hard, so generally, the finishingnis done over a controlled heat, lkke your kitchen stove, or a propane cooker outside. I am doing small batches in the kitchen, as it is snowing again today and cold. Jars And lids. 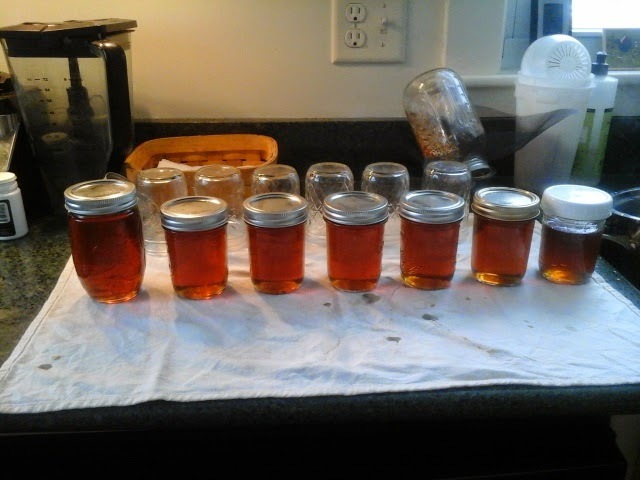 I will sterilize these while the syrup boils. My filter. This is a clean 100%cotton, lint free flour sack towel. Almost there. 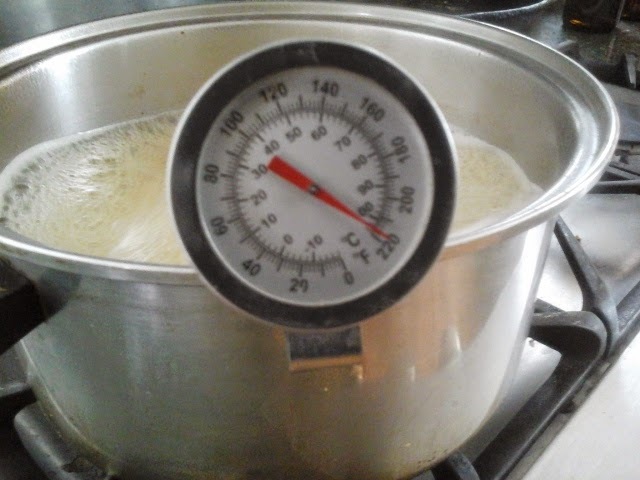 The syrup has to reach 220 degrees. Things happen fast at this point, and close supervision is necessary. 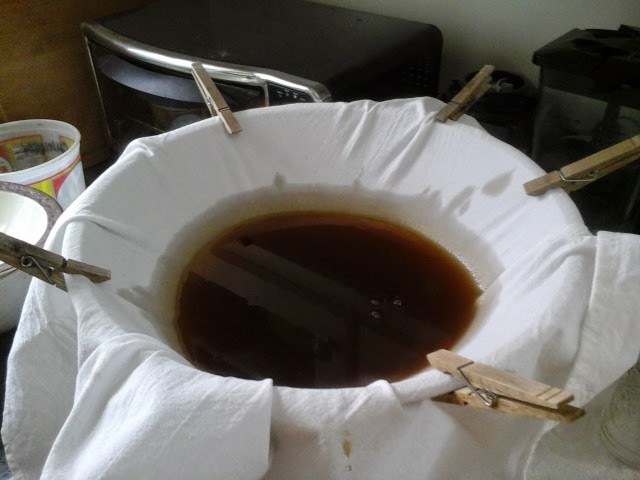 Finished syrup in the filter. After the syrup finally reaches temperature, it nedds to be filtered. There are minerals called "sugar sand" that occur naturally, and for a nice clear syrup, you want to filter these out. There are special syrup filters that cost about $22. they are thick, either wool or orlon, and with our small batches,nit seemed like I would lose alot of syrup innthe filter. 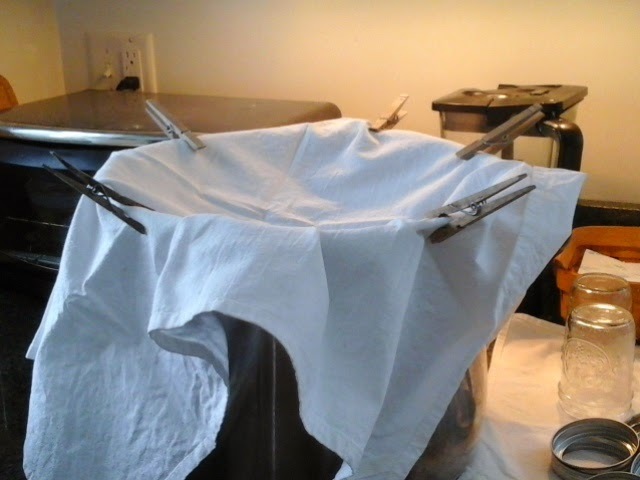 So, I used a good, 100% cotton flour sack towel. It seems to do just fine. The syrup is crystal clear. finish off the rest of what I boiled yesterday. Two or three more batches this size.